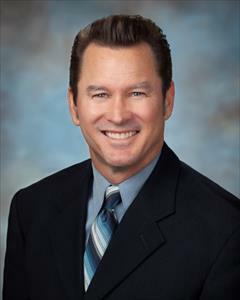 I am a Full Service Realtor selling properties in Southern California at Century 21 Westworld Realty since 1992. Thinking about selling your home, property, land, condo, townhouses, duplex, units, mobile home or town home, I can help. Let me get you top dollar for your home! People tend to think that I only work in La Mirada, but I sell homes as far a San Diego, Big Bear, Temecula, Pasadena, Santa Monica and Huntington Beach. Looking to purchase a property? I can assist you in finding your dream home or condo. If you do not have financing, I can refer you to a lender that fits your needs. I will show you as many homes as it takes to find you the right home. I have been involved with Gardenhill Elementary School to raise money for the students, supplies, computers and other necessary items the state cannot assist with, and the American Heart Association Jump Rope for Heart events. My parents, Paul and Susie Nass, brought us to La Mirada in 1968. I grew up near Kling Center and have a younger brother named Mark Nass and sister-in-law Suzy. I currently live and own a home in La Mirada. My wife, Cathy Lee and I were married on August 15th 2004. I am a proud stepfather of three grown children and grandfather to eleven wonderful children. Joseph Rico Sanchez (son), Marcus Sanchez (grandson), Daniel Sanchez (grandson), Larissa Alcantara (grand daughter), Averie Alcantara (great grand daughter), Jillian Haas (daughter), Tom Haas (son-in-law), Lazlo Haas (grandson), Colton Haas (grandson), Davin Haas (grandson), Ellie Haas (grand daughter), Mandy San Paolo (daughter), Kiera Hecker (grand daughter), Kaden Hecker (grandson), Lyvia San Paolo (grand daughter). Cathy Lee and Jillian Haas work also sell Real Estate at Century 21 Westworld Realty. My office is located at the corner of La Mirada Blvd. and Rosecrans Ave. behind Wells Fargo Bank in the Albertsons Shopping Center near the award winning La Mirada Theater for the Performing Arts at 15058 Rosecrans Avenue, La Mirada, CA 90638. We are the only La Mirada Century 21 office. Quality Service Award Winner, Diamond Award Winner, *Eight Time CENTURION® Award Winner, Honor Society Member & Masters Award Winner; Century 21 Westworld Salesperson of the year 2001! Within the Top 1% of all CENTURY 21® Agents! Licensed experienced Realtor with Century 21 Westworld since 1992! Full Time Agent, Full Time Commitment! Grew up and live in La Mirada! La Mirada resident since 1968! Work in the only La Mirada Century 21 Office! I know the surrounding area! Experience and Marketing does make a difference! I am a full-time real estate agent - anything less and you'd be short changed. I'll use our connections throughout the mortgage industry to get you the best deals possible.